Roadhouse ready! Fill this stein with your favorite brew and kick back to enjoy some live music at the world famous pub. 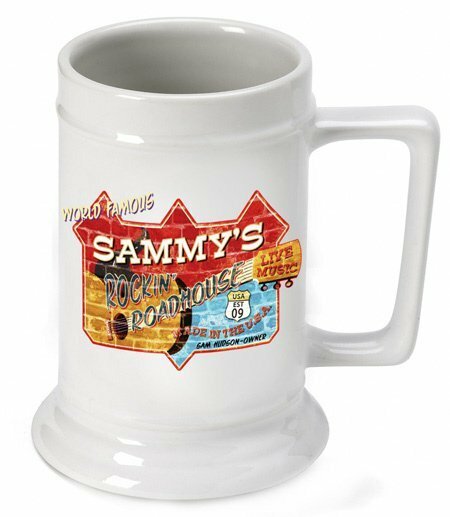 Perfect for a home or business, this stein features a colorful vintage Roadhouse sign on an imitation brick background and includes the first and last name of owner and year of establishment. The white, ceramic beer stein holds 16 ounces of their favorite beverage.